Soft almonds and orange blossom, with nutmeg notes that fade into the blend to leave a very pretty, sweet, slightly (but only slightly) powdery scent. It's soft but extremely strong, so apply with judgement. This is a wonderful, subtle, clean scent. Vanilla and floral notes. It's not overwhelming but does stay on practically all day. I recommend it for those of you that don't like loud fruity scents. Vanilla and floral beauty. 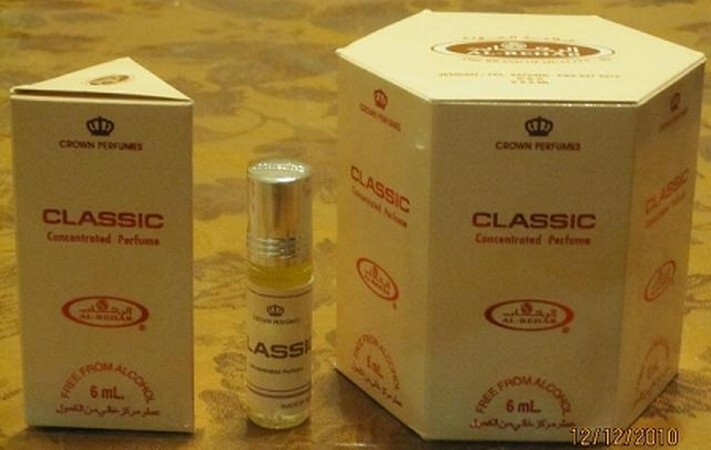 All of the Al-Rehab perfumes that I have are fantastic quality! Thank you for fast and careful shipment.